Attorney Mike Drabant began his legal career in 2010 as an Associate with the law firm A. Traub & Associates in Lombard, Illinois. Then in 2013, Mike opened his own firm, The Drabant Law Group, Ltd., where he worked until joining Wilson & Wilson Estate Planning & Elder Law LLC in 2016. Mike brings a wealth of knowledge to the firm, particularly in the areas of Estate Planning, Guardianship, Estate and Trust Administration, and Civil Litigation. Mike believes in “ethical and compassionate representation” of his clients. Mike prides himself on his responsiveness by always returning client messages no later than the next business day. In 2015 and 2016, Mike was named as one of Illinois’ Rising Stars by Super Lawyers Magazine. Mike received his B.A. in criminology and criminal justice from the University of Maryland. 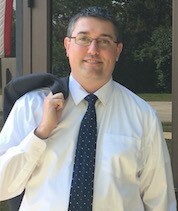 After his undergraduate degree, Mike moved to Chicago and attended the John Marshall Law School where he received his J.D. and LL.M. in taxation, with honors. 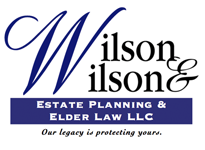 Mike has presented numerous seminars on estate planning, including pet trust seminars in conjunction with the West Suburban Humane Society. In fact, Mike was even interviewed by WGN News in Chicago regarding his pet trust presentation. When not practicing law, Mike can be found playing centerfield for his softball team, singing in his church choir, or performing in the DuPage County Bar Association’s annual Judge’s Nite show. Mike is also an amateur guitar player and avid dog lover.